1. Must be a follower of this blog via googleconnect or Bloglovin. 3. Comment on the giveaway photo "Im Mad about Pink"
4. Leave a below with the ff details: name, email address, and the link to the comment on the facebook page photo. - Left a comment on the giveaway photo "I'm Mad about Pink"
I'm joining again Ms. Aisa! :) More powers! Cristal Gaile Mamauag.... is mad about pink! 3. Commented on the giveaway photo "Im Mad about Pink"
1. Must be a follower of this blog via googleconnect or Bloglovin. - CHECK! 2. Like MAUVE's facebook page - CHECK! 3. Comment on the giveaway photo "Im Mad about Pink" - CHECK! 4. Leave a comment below with the ff details: name, email address, and the link to the comment on the facebook page photo. 2. Liked Mauve on FB and added on Multiply. 3. Commented on the FB Photo. Email: gwendelcarmen at gmail dot com. Commented on the giveaway photo "Im Mad about Pink"
2. Liked Mauve's FB page and added Mauve's multiply acct. 3. Commented on the giveaway photo, I can't get the link though. 2. 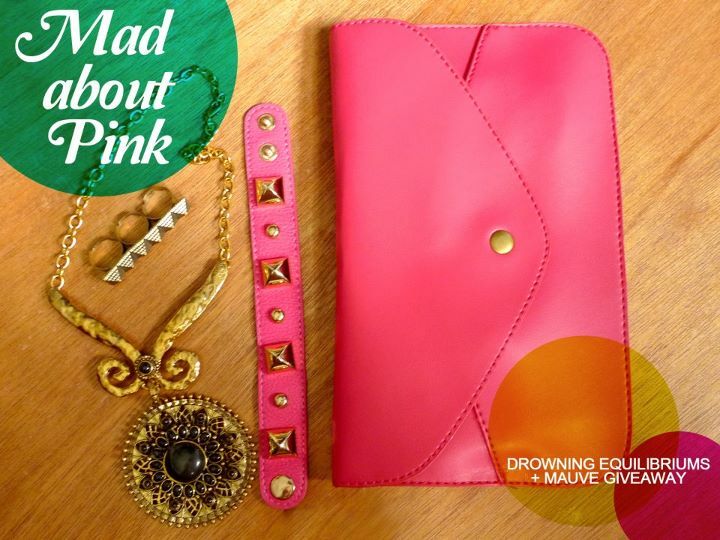 Liked already MAUVE's facebook page as Chel Legaspi Del Rosario and added MAUVE's Multiply account as liberatedmommy. Follower both on GFC and Bloglovin'! Liked on FB and added on Multiply!